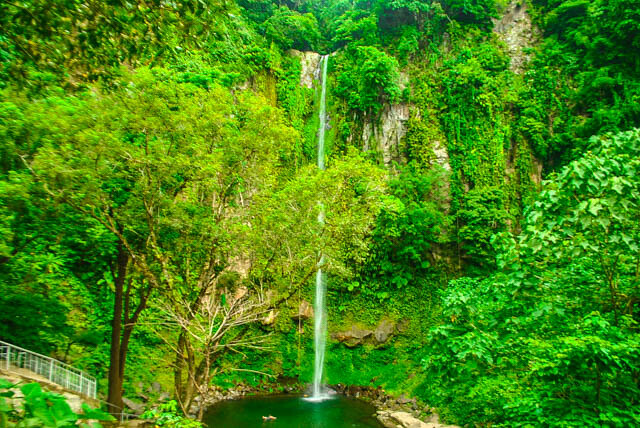 Delve into the pear-shaped island of Camiguin in Northern Mindanao. 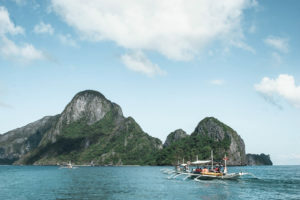 This dazzling island is an old favorite of tourists due to its glimmering azure waters lapping its coastline. 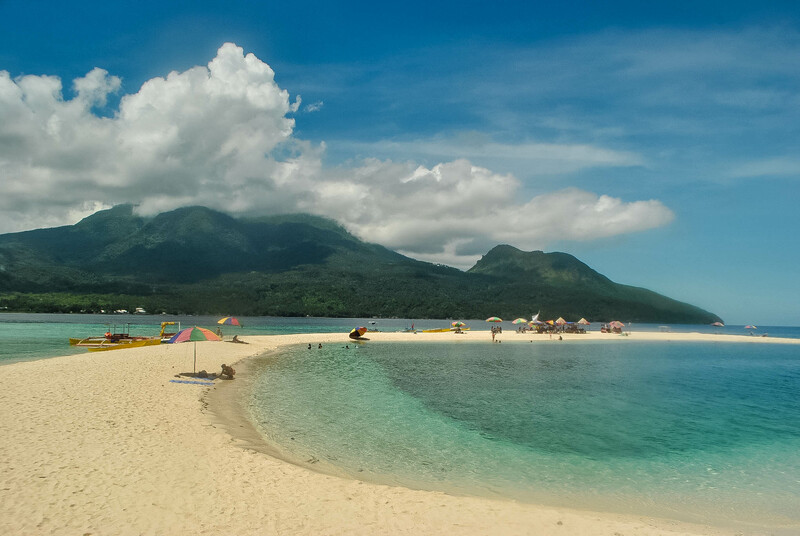 So pack your swimwear, snorkeling gears and sunscreen then rush to Camiguin Island to discover its many treasures! IMPORTANT: LOOKS LIKE THIS ROUTE IS CANCELED. JUST CHECKED WWW.OCEANJET.COM. UNFORTUNATELY, NO MORE SCHEDULE. PLS USE Balingoan to Benoni route (SEE DETAILS ABOVE). IMPORTANT: LOOKS LIKE THIS ROUTE IS SUSPENDED. 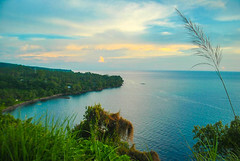 JUST CHECKED WWW.OCEANJET.COM. UNFORTUNATELY, NO SCHEDULE YET. 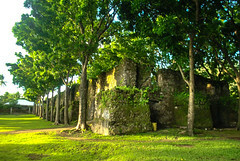 Nearest airport to Camiguin is located in Cagayan de Oro City (CDO) or Butuan. 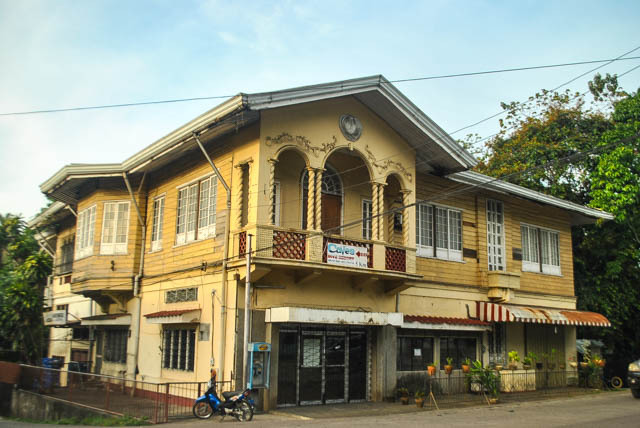 Philippine Airlines and Cebu Pacific have flights to Cagayan de Oro and Butuan from Manila. And Cebu Pacific has direct flights from Cebu to Camiguin. 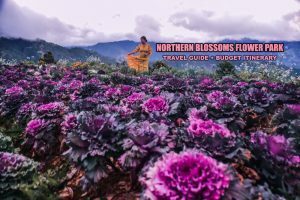 From Laguindingan International Airport (LIA) in the Laguindingan town (often referred to as Cagayan de Oro Airport) you several options to get to Cagayan de Oro City where you need to head to Agora Market Terminal for your transport to Camiguin. At Laguindangan Airport (CDO Airport) take an express van to Agora Market terminal in Cagayan de Oro. Their booths are located in front of the Arrival Area. Travel time is 30-45 minutes. Fare is Php 199. At Agora Terminal in Cagayan de Oro City. 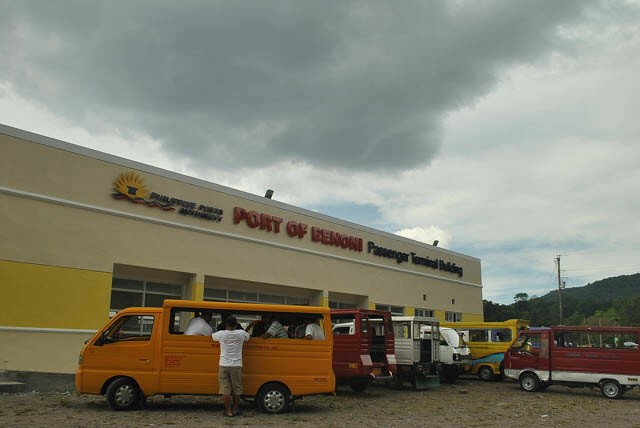 Transfer to a bus or van bound for Balingoan Port. Prepare about Php 150 for the bus fare. Avoid the non-aircon bus as it has many stops and quite uncomfortable. Travel time is 2.5-3 hours. From Laguindangan Airport, take an Airport Shuttle (Php 20) or Super 5 Airport Van (Php 50) to the National Highway. At the highway just hail a bus en route to Cagayan de Oro City. Fare is around Php 85. Travel time 30- 45 minutes. Alternatively, you may take a Super 5 Airport Van + Super 5 Bus for Php 100. The shuttle will drop you off at the National Highway where you need to transfer to a Super 5 Bus. At Agora Market Terminal in Cagayan de Oro City. Go inside the market and look for the terminal. Transfer to a bus or van bound for Balingoan Port. Prepare about Php 150 for the bus fare. Avoid the non-aircon bus as it has many stops and quite uncomfortable. Travel time is 2.5-3 hours. At Agora Terminal in Cagayan de Oro City. Go inside the market and look for the terminal. Transfer to a bus bound for Camiguin. Avoid the non-aircon bus as they are pretty slow. As stated on the table above Cagayan Express, CAGA Transco, Jhalyn Transport Services and Lord’s Transport also has car/van for hire. Just approach the staff at their respective booth for details. Usual rate for car rental to Cagayan de Oro City from the airport is Php 1,000 and van rental is Php 1,500. Since most vans (see table above) can drop passengers at Agora Market Terminal. Once you are there, look for a bus or van bound for Balingoan Port. Prepare about Php 150 for the bus fare. Avoid the non-aircon bus as it has many stops and quite uncomfortable. Travel time is 2.5-3 hours. Pay the terminal fee worth Php 5 + Environmental Fee of Php 4. Travel time to Benoni Wharf in Camiguin is 1.5- 2 hours. 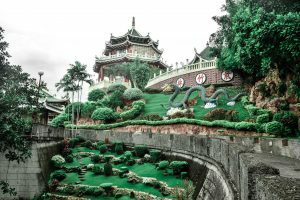 From Laguindingan International Airport (LIA) in Laguindingan town (often referred to as Cagayan de Oro Airport), take a van or taxi to Macabalan Port in CDO. There is a fastcrat that travels directly to Benoni Port in Camiguin. Daily trips. At Cebu City, take a taxi to Cebu Pier 8. 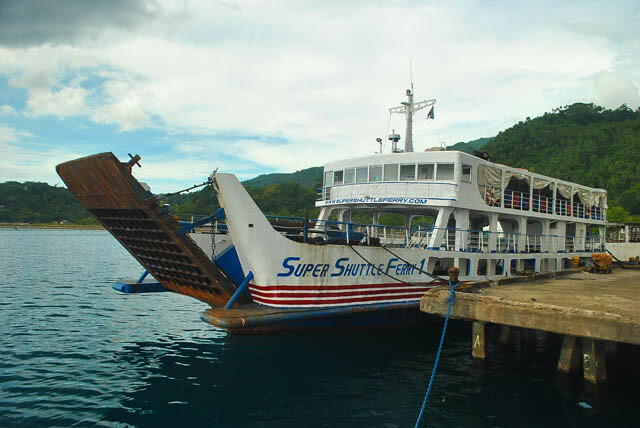 Every Friday, the ferry (Super Shuttle Roro) sails to Balbagon Port in Camiguin at 8:00 PM. Fare is Php 800-Php 1,000. There’s no longer ferry trip from Tagbilaran or Jagna, Bohol going to Camiguin, the only route to go to Camiguin is via CDO (by boat). There’s a daily trip to CDO from Jagna, Bohol (10:00 am only) and from CDO to Jagna, Bohol (10:00 pm only) the fare is around 500-900 pesos via Super Lite Ferries (7 hours travel time). From Bilangoan, Misamis Oriental port there’s a daily trip to Benoni port Camiguin the fare is around 130-170 pesos (1-1.5 hour travel time). At Tagbilaran, take a tricycle to Dao Bus Terminal where you can take a bus en route to Jagna, Bohol. he RORO/ferry travels to Camiguin and arrives at Balbagon Port. Here’s the ferry schedule between Bohol and Camiguin. The ferry travels 3 times a week only as per comment below by World and Wild. Take a bus to Jagna, Bohol at Dao Terminal in Tagbilaran. The fastcraft leaves every Wednesday, Friday and Sunday at 1:30 PM. Estimated arrival is 3:30 PM. 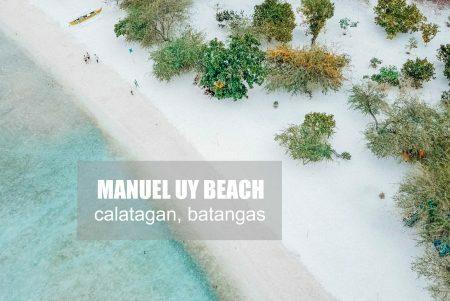 There are daily flights to Butuan from Manila and from Cebu to Camiguin. From Butuan Airport, you can walk to the parking lot and ride a multi-cab with an R4 sign. This will take you to the city’s commercial center and will stop at the Butuan City Integrated Bus Terminal in Brgy. Langihan. Travel time is 20 minutes, fare is Php 20. Alternatively, you can also charter a motorcycle. At Butuan Bus Terminal, there are several buses bound for Cagayan de Oro (CDO). Tell the conductor to drop you off at Balingoan Bus Terminal/ Port for Camiguin. Travel time is about 1.5 – 2 hours. 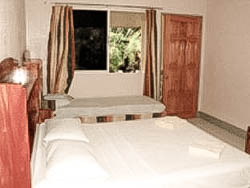 Short distance ride in Camiguin by backriding on a habal-habal (motorcycle) is Php 10. 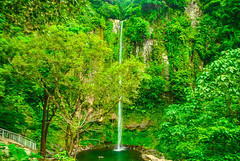 However, if you go by long distance (i.e Mambajao proper to White Island or Mambajao Proper to Katibawasan Falls) it will cost around Php 50-Php 200 depending on the destination. 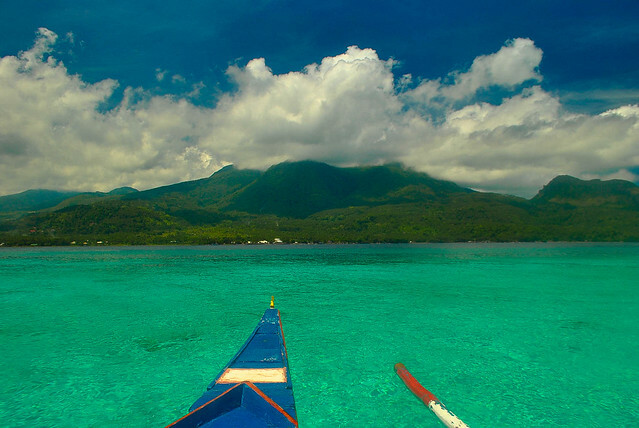 Alternatively, you may charter a habal-habal for Php 800 (day tour) to tour top destinations in Camiguin. This is a pretty cheap way to tour Camiguin. See table below for transportation rate details. Motorela is Camiguin’s version of tricycle which can accommodate up to 10 passengers. There is an eastbound tricycle and a westbound tricycle which you can ride at the market or at the highway. Fare is Php 8. Multicabs abound in Camiguin, especially at Mambajao town proper. You can ride at the terminal near the market but they only live once full. Fare from Mambajao to Benoni Port and vice versa is Php 25. If you are traveling by group, you can rent a multi-cab for Php 1,700 (good for 8 persons) and Php 2,000 (good for 10-12 persons) to tour around Camiguin. Kindly treat the driver for lunch and snacks. For long distance trips, you can look for the jeep terminal near the market. Fare from Mambajao to Benoni Port is around Php 25. Standard rate for jeep rental for day tour around Camiguin is Php 2,500 (good for 16-18 persons). Taking a van for long distance travel is also a good option. From Benoni Port to Mambajao and vice versa, van fare is Php 30. However they may charge higher (I remember being charged Php 100) at night especially if there are no other public vehicles available. Standard rate for van rental; in Camiguin is Php 2,500, good for 10-12 persons. 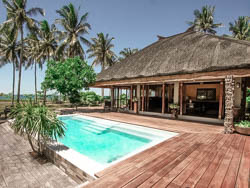 Rates will cover an island tour or maximum use of 8 hours. A rate of Php 150 per hour will be collected for every hour in excess. Kindly treat the driver for lunch and snacks. 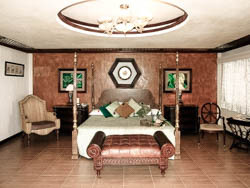 For a hassle-free trip, you can also avail of affordable/ cheap Camiguin tour packages 2016. * If you are not in a hurry you can do the White Island Tour the next day. galing mo talaga gail sa composition…sa dulo na ng white island yon ah.:-)…. Saan kaya puedeng komontrata ng multi-cab in advance? May makukuha ba kami agad ba dun na kami mgahahanap? yep. madame dun, sa my market banda yung station nila. planning to go there soon with my family. there is also a 2Gotravel ferry from Iloilo to CDO leaving every saturday at 3am. no dear but you can easily fins one there. just hail a motorbike or they will normally stop and askyou if you will ride. Do you have contact info for the van rentals? Thank you! Love your site,it’s very helpful. I just need to choose from the list of beautiful places you introduced here. Planning to concentrate visiting lots of places in our own country first, before the outside world. End just like you,I used to go places alone during my holiday. Awesome! thank you so much for that. Will update this. The link you provided is an old post. I’m checking the ferry’s website now. Hi. Just an update. There are no more boat trips from Macabalan Port to Camiguin. 2014 pa daw nagclose according to locals of CDO. It appears that Balingoan port is now the only take off point to Camiguin. I don’t have one, as much as possible I avpid posting contact numbers na ng drivers kase nagkakainggitan sila. Nagiging cause pa ng away. So para mabigyan ng chance lahat, Anyway, it’s pretty easy to find a habal-habal there. 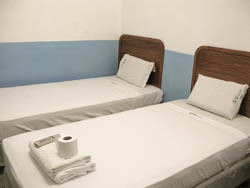 Just hail one lang or ask from your hotel, they can recommend one. Hi! 🙂 magkano po ferry boat from camiguin to cagayan de oro? Every hour po ba yung biyahe to cagayan?thanks..
Hi. Is there any information on the schedules for ferries from Camiguin to CDO? We want to know the last possible trip back to CDO so we can plan our itinerary accordingly. I was told there’s no ore ferry from Camiguin. You can check the schedule of ferry above to Balingoan. Sorry, did you mean Hayangabon in Surigao? I was asking for ferry schedules for Camiguin (Benoni Port) to Misamis Oriental (Balingoan Port). 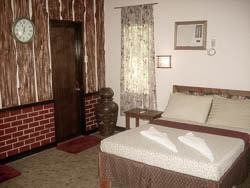 Some of the other blogs stated that the last trip is at 4pm while others say 6pm. hi there! grateful for your help. planning to travel Manila/CDO/Camiguin with a group of 15 people. is there a way to contact a van in advance to bring us from cdo airport straight to the port to take the ferry to camiguin? what is the travel time involved? thanks very much. I’m sorry, I don’t have a contact number. Where did you Check in? What hotel? Thank You! 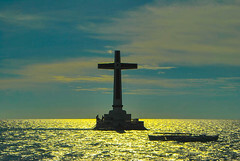 hello po.. meron po bang bya yung mga ferry from Balingoan to Camiguin during Holy Thursday and Good Friday? hello po.. meron po bang byahe ang mga ferry from Balingoan to Camiguin on Holy Thursday and Good Friday?? Not so sure, dear. But I’m guessing yes, since they know that lots of tourists will head there during the holidays. Hi Nap, haven’t tried that, but usually you need a valid ID like driver’s license. I’ve got a driver’s license. awesome! that will work, I guess. 🙂 Safe trip! 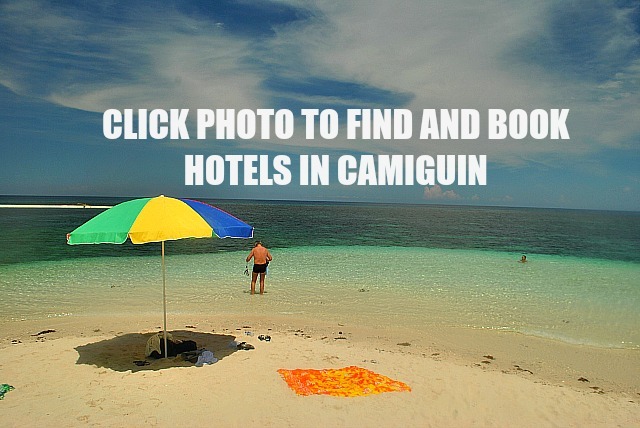 Hi po… ask lang po how much is the fare per person camiguin (benoni) – jagna, bohol? Tsaka may vehicle (4 wheels) po kaming dalhin, mag kano fare for the vehicle? Hi! Who was your contact for the Habal Habal tour? Thank you! I don;t have his number. Just hail one once you are there. There’s a lot of habal-habal naman doon. Enjoy! Thank you for this blog, very helpful. 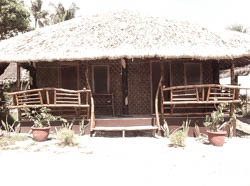 I want to ask you though if there is a roro trip from Camiguin to Siargao Island in Surigao? Thanks in advance. I don’t think so. Have fun! I traveled alone. For solo travelers. Sorry about that. The Php 300 is round trip fare. Yep. can be good for two. The 450 is for one boat. going solo on dec24 from cebu to cdo to camiguin. would you know if buses and ferry has trips on the 24th or 25th? Hi! Do ya’ll have any suggestions for ways of transpo from Davao City? We are planning on taking a van with us for the whole trip. Any suggestions would be greatly appreciated. Thank you! Hi, what’s the earliest bus schedule at agora terminal to balingoan port? We want to catch the earliest ferry ride to benoni port. Thanks! 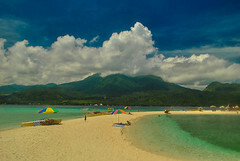 Hi, I will going to Camiguin for a 4 days vacation and I don’t know much about Camiguin and where to stay and relax. Can you please recommend me that isn’t expensive yet beautiful? Thanks in advance!